BTS will step on the red carpet of the TMA on April 24. [The Fact] Global idol group BTS has confirmed their appearance at the "THE FACT MUSIC AWARDS" (TMA). BTS has grown into a global idol group, they will attend the "The Fact Music Awards" on April 24 and take part in the event with fans," the committee of the "The Fact Music Awards" said on 21 morning. Leading the popularity of K-pop craze around the world, BTS has decided to attend the "The Fact Music Awards" despite their busy schedule due to their new album "MAP OF THE SOUL: PERSONA." The "The Fact Music Awards" will be the only festival style event in Korea by a star, and fans, with an award ceremony that expands and reshapes online year end awards ceremony for "FAN N STAR" organized by the Internet's popular magazine. The new awards ceremony, which will be launched this year with the official name "The Fact Music Awards," is expected to be a new type of awards ceremony where fans and stars communicate and combine. Especially, the awards ceremony is expected to be added to the list of Korean and foreign fans, with BTS being listed on line up for the "The Fact Music Awards." BTS will release their new album "Map of the Soul: Persona" on April 12 and release their new song on April 13 for the first time on the popular NBC comedy show "Saturday Night Live.(SNL)". 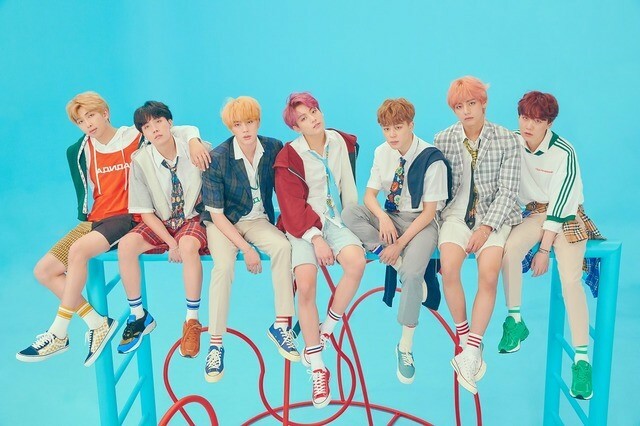 The album is the first album in eight months since BTS released "Love Yourself" in August last year, and has been making headlines since surpassing 2.68 million pre orders from 13 to 17. "The attendance of BTS is attracting global music fans, and it is expected to further enrich the award ceremony where fans and stars communicate in one place and it attract global attention," said an official of the committee for "The Fact Music Awards," added, "It will be an event that will establish itself as a festival for fans and stars for the spring season." Prior to the news of BTS' attendance, the committee for the "The Fact Music Awards" announced the first line up on their official website on 19. that TWICE, Red Velvet, and MAMAMOO, the most popular girl group in the K-pop industry, has confirmed appearance at the "The Fact Music Awards." The "The Fact Music Awards," is expected to draw more and more attention with BTS' attendance, is also expected to increase expectations among music fans about which artists will step on the red carpet. The music festival "The Fact Music Awards" will be held at Namdong Gymnasium in Incheon on April 24. Details on artist line ups and stage performances, as well as information on the awards ceremony, such as ticket distribution and hosting time, are able to check on the official website of the "The Fact Music Awards."